under an ultraviolet light which makes certain bacteria appear fluorescent. 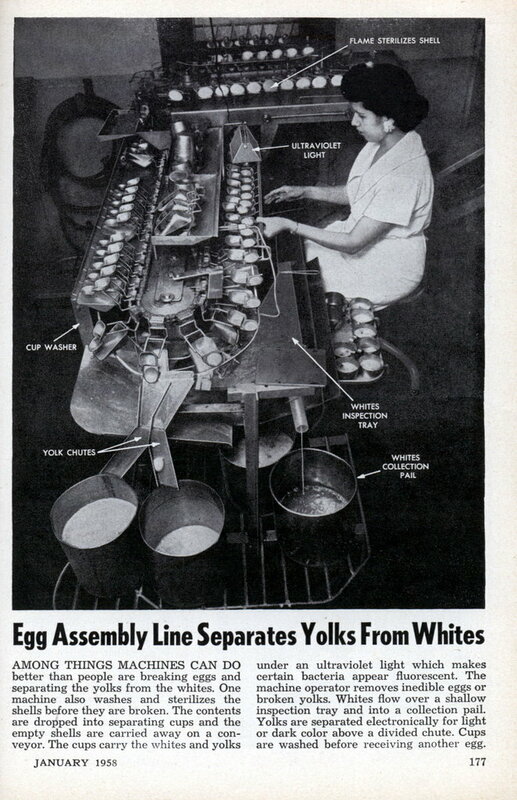 The machine operator removes inedible eggs or broken yolks. Whites flow over a shallow inspection tray and into a collection pail. Yolks are separated electronically for light or dark color above a divided chute. Cups are washed before receiving another egg.